Honestly, fiasco is the nicest way to describe last week. If there was something that could go wrong or screwball it did. I feel like I unintentionally dared fate to come at me. I take it back! I don’t know what it was but I take it back! Monday and Tuesday weren’t bad or if they were the rest of the week overshadows them. My foot was aching again so I knew I was likely only going to get in one run before Surf City on Sunday. That run was Wednesday and I really needed to run off some stress and clear my head. I ran the work route directly after work and made sure I had all my lights but I really needed that sunset view. And I got it. I had a pretty decent run and was feeling better when I arrived back at my car. Where I proceeded to stretch a bit and then promptly lock my key in the DAMN CAR! It was completely dark and it was getting cold. I stared at the Knuckle Light, pepper spray and phone still in my hands like I could will them to turn into my keys but no luck. You idiot! I may have mentioned work’s proximity to the police station in town before but it is only one door down. So off I went to use the after hours phone to ask if they could help me. Nope. Told me call a locksmith. Grrrrr. So I called my parents who as it happens were just sitting down to dinner. Crap. My dad knew what I had done the second I said I had done something stupid. He was able to get my spare and bring it to me but work town is 45 minutes from home town. I was still stuck sitting on a curb. Again, my own stupid fault. I had texted a coworker just so I could tell someone of stupidity and she was nice enough to come back and let me hang in her car while I waited for my pops to arrive. Some people are awesome. I now belong to AAA. Then Friday rolls around and I head to Penney’s after work to pick up a quilt I had ordered to finish off the room re-do. The parking lot was dark, wet and mostly empty but there was a man working on his car. I thought that was weird as there was a parts store and Wal-Mart at the other end of plaza that would have made more sense. He sort of followed me into the store which also made me a little paranoid. Once inside, there was a one man being helped by the cashier and another shopping. The man behind me spoke with the man shopping. See Fallon, no reason to be paranoid. I asked the other cashier for my catalog order while the shopping man kept piling clothes on the counter. The employee helping me went to the back to get my order and the one helping the other guy took him over to the dress shirts. Meanwhile the other man still looks like he is browsing clothes and his friend had left. All of sudden I hear rapid foot steps and he is running past me carrying all of the clothes from the counter and a few more. What the hell? Is this really happening? He barrels out the front door and I just stood there in shock. The employee comes back with my order and I was like “dude, you just got robbed!”. She just sighed and said it happens more often than you would think. Wait, what?! Then, Saturday arrived and it was time to head down to Huntington Beach for Surf City! Except while most of the country has been dealing with mountains of snow, California’s been blasted by heavy rain. Which is great as we are drought ridden and the water is needed but also bad because fires. The fires leave burn scars that can’t handle that much water and we flood or worse- mudslides. We were about 20 miles outside of Santa Barbara when we got the alert that the 101 was flooded out and would be closed indefinitely. Ummm, crap. There’s really no way around or if there is it was likely flooded too. So we turned around and backtracked an hour to pick up a rural highway that heads east to the I5. The I5 though open was a mess. It was pouring rain, visibility was nil and we passed so many wrecks and bad ones at that. I missed the expo, what should have been an 5 hour drive turned into 8ish. Thankfully, Surf City allowed other people to pick up your bibs as long as they had your QR code and a photo of your driver’s license. 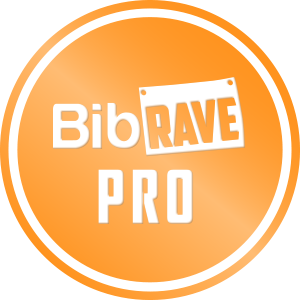 The other BibRave Pro’s were already there and Christine offered to get my bib and shirt for me. Lifesaver. I was able to meet her at her hotel and pick up the items. Then it was off to my hotel to check in then find dinner and try to decompress from the stress of the day. 16.3 miles for the week. Slowly going in the right direction. I had my week planned -when I was going to workout, how I was going to eat healthier, be less of a Slacker, yada yada. And well… yeah. Cold wind kept me indoors on Monday which is silly as I hate wasting a non work day. But I also really hate a really cold wind. Then my stomach turned into an asshat on Tuesday and that lingered for a few days. That’s what I get for thinking I was having a good spell. Then there’s the random tiredness. Which actually isn’t so random. This was week 2 without soda and my new migraine medication can make me groggy. Not the greatest combo… or maybe it is, who knows. I did manage to finally clean my car this weekend so that in itself should make this week a win. Ha! Well, I started the week slightly according to plan. Then it was off to that doctor’s appointment I made a month ago when I was so sick. Which didn’t really get me anywhere. Long run Saturday. Despite the opinion of my Garmin, I actually felt pretty good this run. I kept things slow and easy and started with run/walk intervals but was able to ditch them around mile 4 and only walk occasionally. Which I thought was great considering how little running I’ve been doing but my Garmin judged me and told me I needed 3 days to recover post run. How rude! I headed out for some nice and easy recovery miles. I won’t lie- even though I kept the pace slower than Saturday’s long run, there were parts that were the very opposite of easy. I kept pace and ran all but one of the hills though. Still, I wish it had felt a little better. 12.4 miles for the week and only 1 Transform 20 workout. Which means I will be restarting week 2 come Monday as I was barely hanging on as it was. I am hoping to get in 2 short-ish runs before race days so fingers crossed! You could say that Surf City was my spring board into half marathons. It wasn’t my first half marathon, not even close. It wasn’t even my first travel race. However it was the first time I spectated an event that didn’t involve working any water stations. 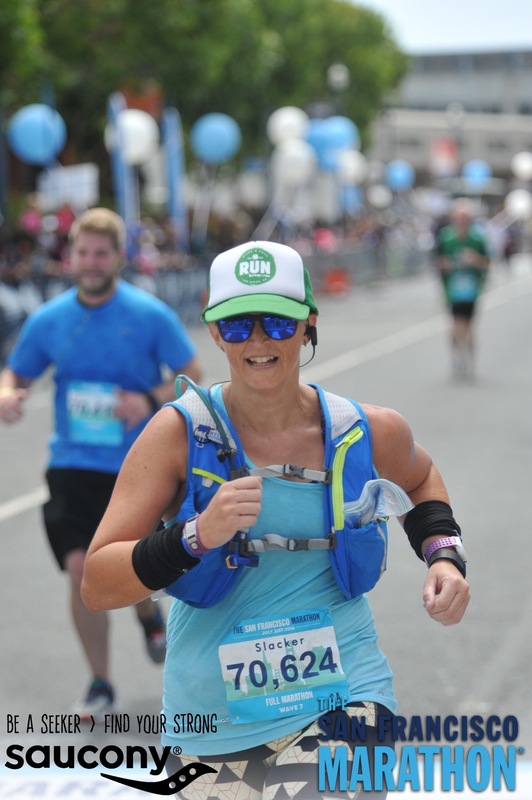 Prior to Surf City 2011, I had volunteered numerous times at water stations for the local fun run and even the Master Elites didn’t inspire me to run. They also never wanted my water but that’s not the point. I drove NikeC down to Huntington Beach to run Surf City back in 2011. I remember standing on a corner with her aunt and now uncle and watching all the runners run past feeling a little lazy. I thought to myself- I can do this. 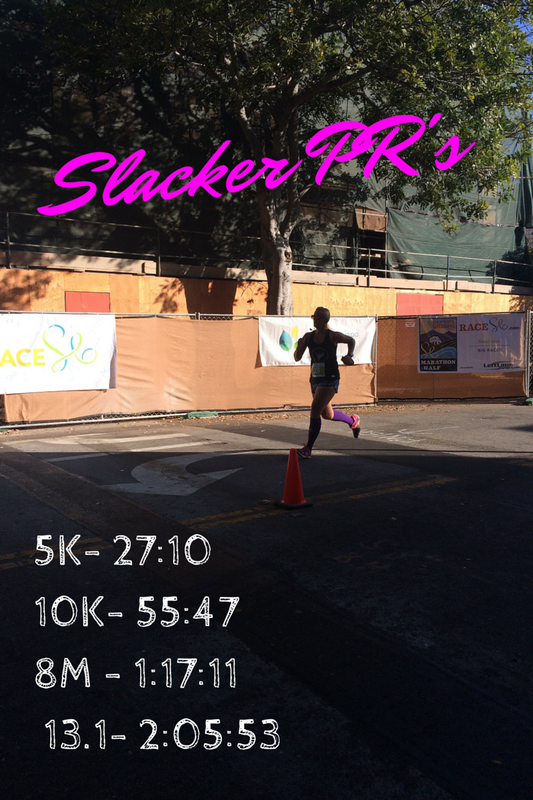 So I started training (sort of) for my first half and ran a local one a few months later. It took me years to get myself back to Surf City. I ran it for the first time in 2015 and then again in 2016. Now, full disclosure, I love Surf City but it doesn’t love me. The course is fairly flat and the humidity runs pretty high. To some that is PR ready and the first two times I ran it, I attempted to run it fast and my lungs pitched a fit by mile 8ish. This has always colored my view of the later miles which bites because you run along PCH and the beach is right next to you! Which is why I am looking forward to going back in 2019! Time to live it up! Want to join me? Use code SCMBR10 to save 10%!